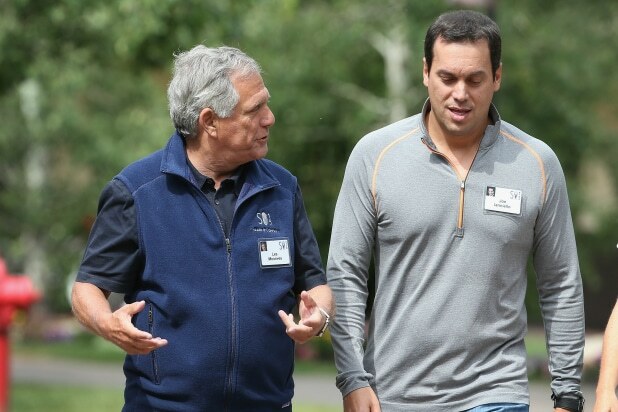 Former CBS CEO Les Moonves (left) and Joe Ianniello chat at the Allen & Company Sun Valley Conference in 2015. Interim CBS chief Joe Ianniello seems perfect to take over for Les Moonves: He was Moonves’ right-hand man for more than a decade, closing deals and working behind the scenes. Since he left the spotlight to his boss, online photos of him are scarce. But the close ties that set him up to be Moonves’ successor may also limit his long-term prospects, analysts say. CBS may simply want to clean house, even though Ianniello was not connected to the accusations of sexual misconduct, by a dozen women, that led to Moonves’ ouster. “It’s unclear how long he’ll be interim, but I think we’re talking about a matter of months; not years. Everything suggests to me that he is a placeholder,” Amobi added. Serving as interim CEO gives Ianniello an obvious inside track to taking the job permanently. Insiders with knowledge of CBS told TheWrap that Ianniello is the only candidate they know of right now. “We are confident in Joe’s ability to serve as acting CEO,” Shari Redstone, vice chair of CBS’s board, said on Sunday after Moonves’ exit. Shares of CBS fell as much as 4 percent during trading hours on Monday, the day after Moonves’s departure. And though the stock recovered some of those losses by the market open on Tuesday, shares were still down 2.5 percent from where they were the Friday before Moonves’ ouster. Ianniello, a graduate of Pace University and Columbia University, joined CBS in 1997, holding a number of key financial positions in the company. He most recently served as chief operating officer, and before that was chief financial officer from 2009 to 2013. BTIG analyst Rich Greenfield wrote in a note on Monday that CBS has never thought too much about succession planning. 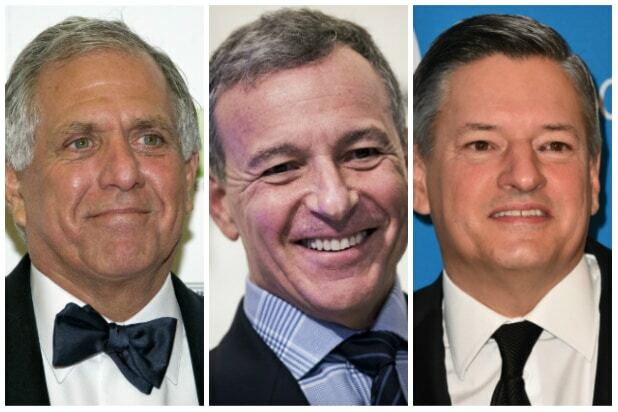 Moonves wielded so much power over CBS and its board that he was able to hand-pick his executives without the company looking too far into the future. Moonves’s contract was set to run through 2021. He’s of the opinion, like Amobi, that Ianniello’s appointment won’t last long. CBS, led by Moonves, fought hard for Ianniello during the company’s struggle against a merger with sister-company Viacom. Redstone, who controls roughly 80 percent of the voting power in CBS through her family company National Amusements, was pushing for CBS and Viacom to merge, in which case Viacom CEO Bob Bakish would have jumped Ianniello to become next in line for the top job. The succession plan ended up being one of the major sticking points during negotiations for Moonves’ exit. As COO, Ianniello helped lead CBS to Wall Street success, and he oversaw the monetization of the company’s content across platforms, including CBS’s successful streaming platform, CBS All Access. And in 2013 and 2014, sell-side analysts on Wall Street ranked Ianniello the No. 1 chief financial officer. Amobi expects a lot of focus to be on what Ianniello says now, and ahead of the company’s quarterly conference call to discuss earnings in November.